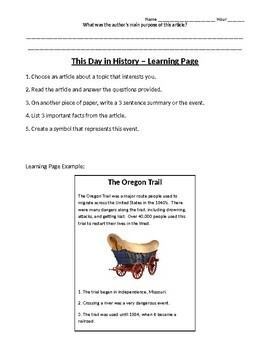 This activity can be used with any reading article, but is designed to fit with my This Day in History articles from my store. 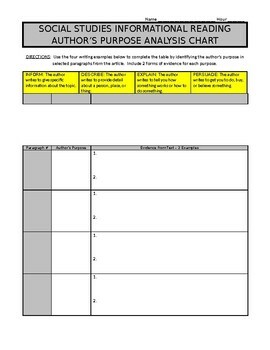 In this activity, students will identify the author's purpose for writing from 4 different paragraphs, and give evidence from the reading to support this. The activity is designed to enhance student's understanding of the article and the author's central themes. The form is in MS Word for easy editing in order to meet your specific subject needs.